I must admit, my memory is starting to catch up with my current age. I’m not going to lie but simple things such as misplacing my phone, failing to do a task or a chore and forgetting my passwords happens more often. Several checklists and to-do lists start to pile around my computer and work desk just to make sure I haven’t forgot anything to do on a particular day or week. Working parents and grandparents like myself maybe swamped with the amount of work they have to deal with during working days. The majority of the workforce has the luxury to take time off on the weekends. This grants them a full weekend to spend time with themselves, do household chores on Saturday. Sunday on the other hand is a special day to bond with their families and friends. 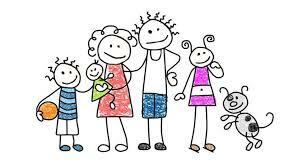 Hence, society dictates, Sunday is family day! Remember the song “Monday, Monday – can’t trust that day” by the Mamas and Papas? Being a parent and especially a grandparent is a beautiful, unique and a gratifying experience. It creates a sense of self-fulfilment especially if we are lucky enough to pass down great values and beliefs to our grandchildren. It grants us a certain warmth that translates to a smile whenever we see our little ones happy and embracing all life has to offer. Grandparents’ day is coming in a few days. This is a good opportunity for us grandpas and grandmas to further develop a good relationship with our grandkids. For nanas like me, how do we become the ‘cool’ grandparent that they want to be with or remember? 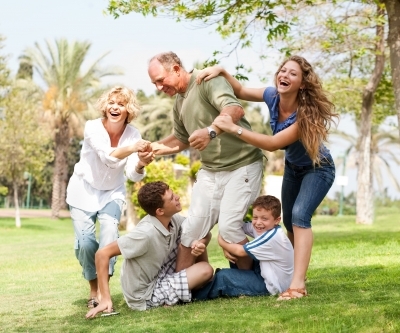 Here’s some advices on how we oldies can happily bond with our grandchildren. Grandchildren want digital connections with their grandparents. Are you staying current enough to be there – where ever that is – when they ask for it? It used to be my space, then facebook, text, twitter, instagram and so on. By the time we master it seems they have found something new. So I am now finding something that allows me to connect with them and they know I am there for them. I have hang outs with my 3 year old granddaughter so we can read a book together. We also skype and facetime. My eight year old granddaughter loves to do facetime and practice her charms. My 13 year old grandson posts things to instagram and sometimes I see it. My 11 year old grandson love food so he checks out my recipes and asks for special meals when he visits. The 15 year old keeps me on my toes and teaches me what I need to know. Do you need a private way to communicate with EVERYONE in your Family – and no one else. 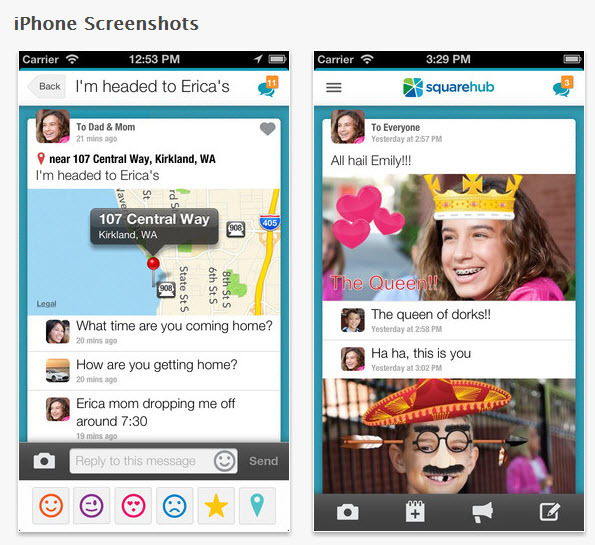 There’s an App for that – SquareHub Family Network. As a grandmother, I am in awe of the amount of coordination required to manage today’s busy family. I am often asked to help in the pick ups or transfers or game day events. When live gets complicated, clear communication is difficult and that is BEFORE you add in the element of teenage communication skills – with their grandparent, no less. This nifty new app might be just the thing to communicate with everyone we need to and not those we don’t. SquareHub, a free iOS mobile app for sending private messages and photos, coordinating activities, and sharing those spontaneous moments of joy with just the family. SquareHub addresses the need to coordinate multiple activities each day while keeping personal information private. 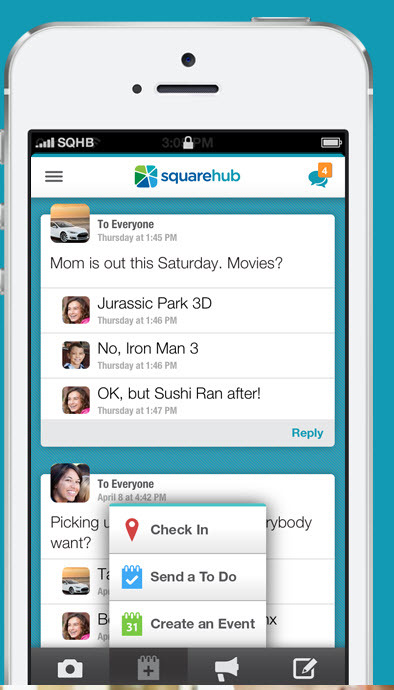 With SquareHub, every family member on the network can send instant private messages and photos. Parents can coordinate activities and kids can request a pickup or tell parents privately when they will be home. SquareHub replaces the inconvenience of multiple communication avenues—texting, phone calls and email—with the ease of a single app that all members can use. Families with active teenagers, professional parents, divorced parents, and military families will love the privacy protection, efficiency, and virtual presence SquareHub brings to their daily communication. With SquareHub, families no longer have to think twice about sharing personal details like where everybody is, what everyone is doing and those goofy, memorable moments they want to share with each other. Plus it appears to be a great planning tool for my brothers and I as we are coordinating help for our parents. Add an element of fun and you have what appears to be a very useful tool. Did I mention it is FREE and PRIVATE? I love that!